The Gazette had the pleasure of chatting with Dueña Mercedes Vera de Calafia, the new East Kingdom Seneschal, about her new job, her life in the SCA, and her favorite cheeses. My name is Mercedes de Vera de Calafia. What does the Kingdom Seneschal do? Why are you called a Seneschal, anyway? Seneschal is an Anglo-Norman word meaning Steward. Most nobles had a person in their household who ran the business side of things that allowed the Lord to concentrate on the more enjoyable aspects of being rich and having a large house. In Arthurian Legend, Sir Kay was King Arthur’s seneschal, and the symbol of the office, a key, comes from a play on Sir Kay’s name, and the fact that the seneschal is the keeper of the keys to the manor. My local group has a Seneschal. How is what you do the same/different from what my local Seneschal does? Personally, in some ways I think local seneschals have a very tough job. They have a lot of individuals who can be very demanding on their time & patience, whereas in many ways the Kingdom Senechal is more isolated. Think about the difference between a store manager and a regional vice president. The store manager has 100 employees that he has to deal with all the time so their concerns are more immediate. He also has to deal with his superiors and people at the top of the corporation making and changing rules, and be able to explain the reasons for the rules changes to his 100 employees. The regional vice president deals with most of the local store managers filtered through their regional managers. They also deal with their superiors and the rules changes, but in many cases is directly involved in those changes, so it seems much less arbitrary. They also, of course, are on call to the company president. In effect, though, most of the people they deal with are in a very tight circle, or filtered through their deputies. How is what you do the same/different from what the King and Queen do? The King and Queen are in charge of the game side of the SCA. They hold court, give awards, look good, and have retainers. The seneschal is in charge of the business side. In modern England the seneschal would be the equivalent of the Prime Minister. That is not to say that the King and Queen don’t do a heck of a lot of work between events, but the job of the seneschal is to make sure that the Crown is able to do their job without worrying too much about the administration of the Kingdom. What are your goals? What do you hope to accomplish in your tenure as Seneschal? I have always said that I come to the position with an agenda. My job is not to change the Kingdom, but to help it run smoothly. To that end I am looking into a number of small changes to make certain processes (like updating the Regnum) easier. I want to update the EK Seneschal’s handbook, but that will have to wait until the changes in corpora are settled. I also have a cultural shift I’d like to have a hand in guiding. I’d like to see the EK become a place of forgiveness, to see people move forward rather than clinging onto the past. What do you see as the biggest challenges for the East Kingdom in the next two years? One of the biggest challenges is always growth. In some areas of the Kingdom we have seen a large number of new people and interest in new groups, while in other parts of the Kingdom, our numbers have dwindled. Retention of talented people who are facing burnout and cynicism is another problem. Communication is also a big challenge. The growth of social media and the shift in modes of communication is going to take a while to shake out. I’m going to say, as a fencer, that the possibility of a Rapier Peerage is daunting in many ways. All that being said, I’m sure when I look back at my tenure, the biggest challenges are likely to be things we don’t even see coming right now. How do the rules (“laws”) for the East Kingdom get made or changed? What is this ‘curia’ thing I hear so much about? John Godfrey Saxe said that “Laws, like sausages, cease to inspire respect in proportion as we know how they are made.” That being said, I make sausages, so I’ve been watching how they are made for many years now. Curia is held at least once per reign. During Curia, the Crown and Heirs, with the advice of the Kingdom Seneschal, consult with the local seneschals, Kingdom officers, the Royal Peers and Landed Baron/esses (and anyone else who wants to attend) on making, revising, changing, deleting etc, Kingdom law and policy. Most of these laws are ‘game side’. Business side policies are handled either through the Board of Directors, or through the policies of the Greater Officers. The next curia is at Birka and, while it’s not for everyone, if you are interested in how Kingdom law is made, it’s interesting to attend at least once. Tell us a little bit about yourself, and why you chose to apply for this job. I’ve been in the SCA for 36 years. My younger brother and I started in the Barony of Calafia, in the Kingdom of CAID. Most people know me as a fencer, but I’ve been doing the seneschal thing since the 1980’s. If you want more information on me, start with my wiki page at http://www.eastkingdom.org/mediawiki/index.php/Mercedes_de_Calafia and then if you’re still interested, sit with me at a camping event and ask away. I chose to apply for the job after being asked by the last two Kingdom Seneschals to consider taking the job. My modern training is in customer service, and this position is very much like that. How does you like to spend your SCA time when not being seneschal? My main loves are Rapier and Food. 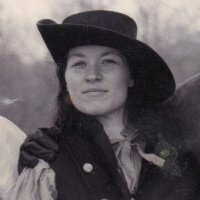 I have been the East Kingdom Rapier Marshal, served on the Pennsic Rapier Champions team several times, been General of the Pennsic Rapier Army, and still teach and marshal when I get a chance. I have also worked in a few kitchens, study period foods and have been making cheese for several years. I have to admit that I also dabble in many other things: sewing, embroidery, rapier armor, brewing, lace, acting, and whatever else catches my fancy when I’m bored. What was your first event? And what made you stay? My first event was the first (I think, it was a long time ago) Crown Tourney of CAID. It was beautiful, magical, and more fun than I ever thought possible. I have stayed because some of the best people I’ve ever met are in the SCA. Some of them have left, too many of them have passed away, and there are many more friends to be made. Could you share with us a moment – or several moments – that describe what makes the SCA special for you? After 36 years in the SCA, it’s almost impossible to pick just a few moments. But one thing does stick out in my mind that brings my SCA experience full circle. When I was around 18 my father and I were having lunch and he complained that the SCA was sexist because the monarchs were chosen by combat, and women didn’t have the strength of men (this was 1979). I pointed out to him that half of the Kingdom Seneschals were women, and seneschals were the ones who really made the SCA go. Now, all these years later, I have become the Seneschal of the East, and I feel like it was, in some way, fate. How has the SCA in general changed since you joined, and what would you like to see it do in order to continue to be vibrant and growing? Pro: Better fabric choices, better archeological documentation, better research, better feasts, more inclusion. Con: More destructive politics, more rules, lack of post-revels (although this is starting to change). To keep the SCA vibrant and growing we need to be more inclusive, encouraging and treat new people as friends we haven’t met yet. And we have to remember that as modern society changes, we have to change with it. Looking forward, rather than backwards. We, of all people should understand being on the right side of history. We know that your mother joined the SCA after you did, can you tell us about having family participate in the SCA? My Mom (who, if you haven’t met yet, you should) is the person I want to grow up to be. She’s sweet, smart, energetic, sardonic, and adventurous. She learned to fence while in her 60’s (for a while she was the oldest authorized fencer in the East), attends Pennsic when she can (although she feels like she’s getting a little too old to put up her tent anymore), and is my best cheerleader. Having her in the SCA is, at times, stressful because I can be a bit overprotective (when she goes on walkabout in the Bog at Pennsic), but as my friends remind me, she raised 7 children, she can handle herself in the Bog. This would be a great opportunity for a joke, but I don’t like my men like I like my cheese: smelly, runny or moldy. Of the cheeses that I make myself, my current favorites are Chesire and Gouda. Of the cheeses that I haven’t tried yet, Brie. I love Brie. Blue Brie is awesome too.